This crockpot buffalo chicken dip is spicy, creamy, and delicious! If you’re wondering how to make buffalo chicken dip all you’ve got to do is throw all of your ingredients in the slow cooker and you’re almost done. 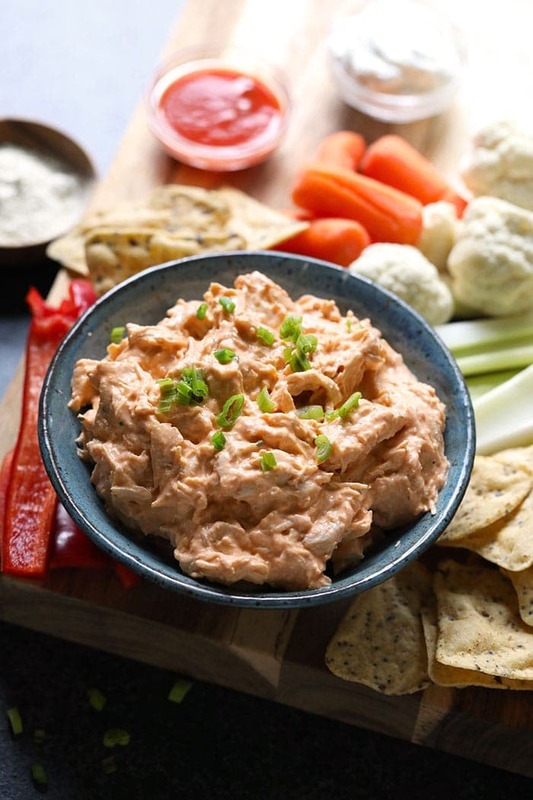 This buffalo chicken dip is perfect for an appetizer or for the perfect game-day treat! If there is one thing that everyone on Team Fit Foodie can agree on, it is that Franks Red Hot hot sauce is the SHIZ. Yes, we do know that there are many delicious hot sauces out there in the world. We also have a tradition between the three of us that when one of us travels, we always bring back a fun hot sauce to share. So far, my favorite hot sauce is the hot sauce that Emily brought back from Hawaii when she was on her honeymoon. It was from the Kauai Juice Company and was the perfect combination of sweet and savory. It was the Original Hawaiian Chili Pepper Sauce and I cried when I used the very last drop. 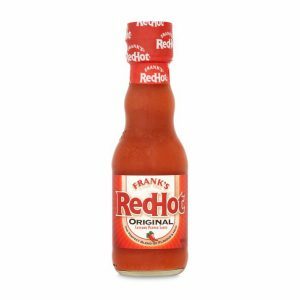 There are so many hot sauces that we love, but we always come back to Franks Red Hot as a staple. 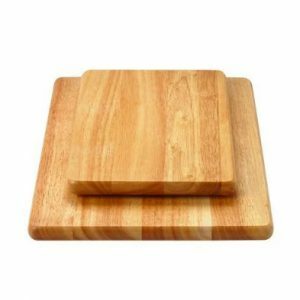 It is classic, reliable, and affordable. You can get Franks anywhere and it has the perfect spicy and vinegary combination. 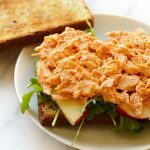 Now that you know we all love Franks, let’s talk about this crockpot buffalo chicken dip and how easy and delicious it is. 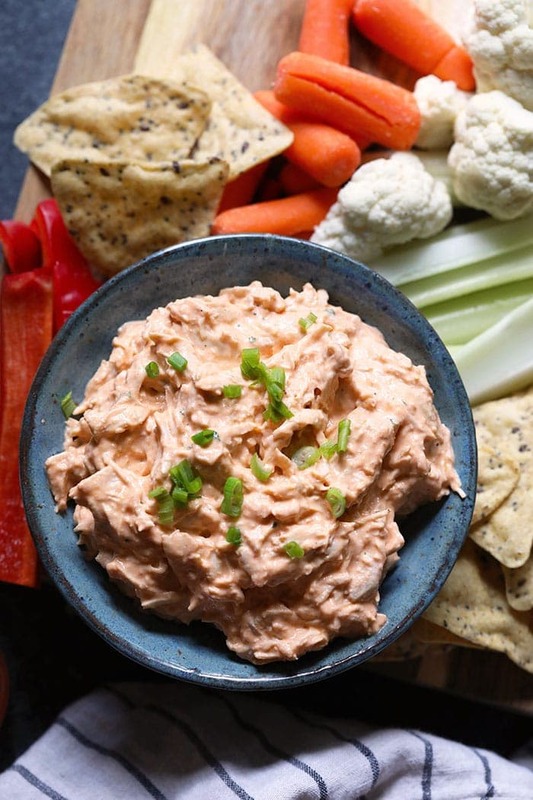 When in doubt on what to make for game-day, for a healthy holiday appetizer, or just an easy snack to keep in the fridge always think–> buffalo. 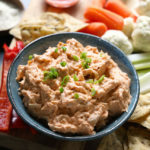 You will find this crockpot buffalo chicken dip at most of our social gatherings because it’s easy and it is definitely a crowd-pleaser. 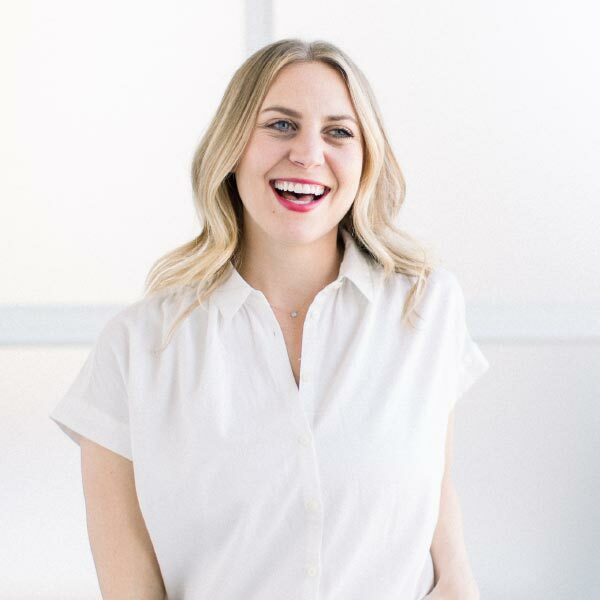 You need minimal ingredients, a slow cooker, and your favorite dipping accouterments (we always go for chips and veggies)! 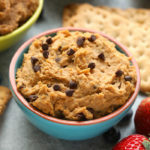 This crockpot buffalo chicken dip is spicy, creamy, and delicious! If you’re wondering how to make buffalo chicken dip all you’ve got to do is throw all of your ingredients in the slow cooker and you’re almost done. 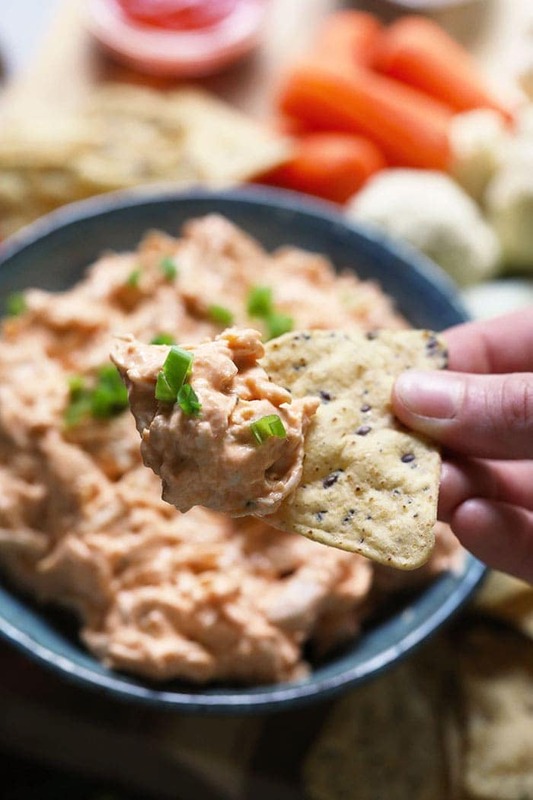 This buffalo chicken dip is perfect for an appetizer or for a game-day treat! Remove water/moisture from slow cooker and then using two forks, shred the chicken. 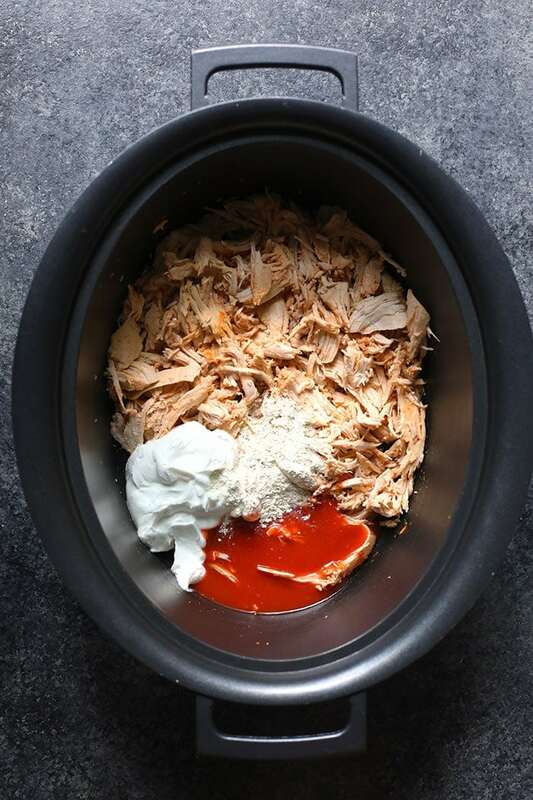 Add Frank’s Red Hot Sauce, Greek yogurt, and ranch mix to shredded chicken and mix well. 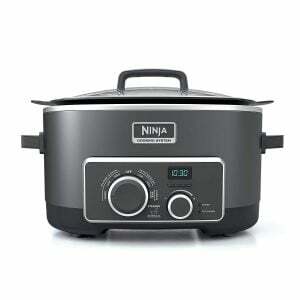 Then, place the top back on the slow cooker. 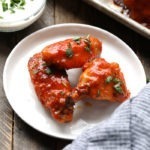 Turn slow cooker on high and heat buffalo chicken dip for 5-10 minutes. 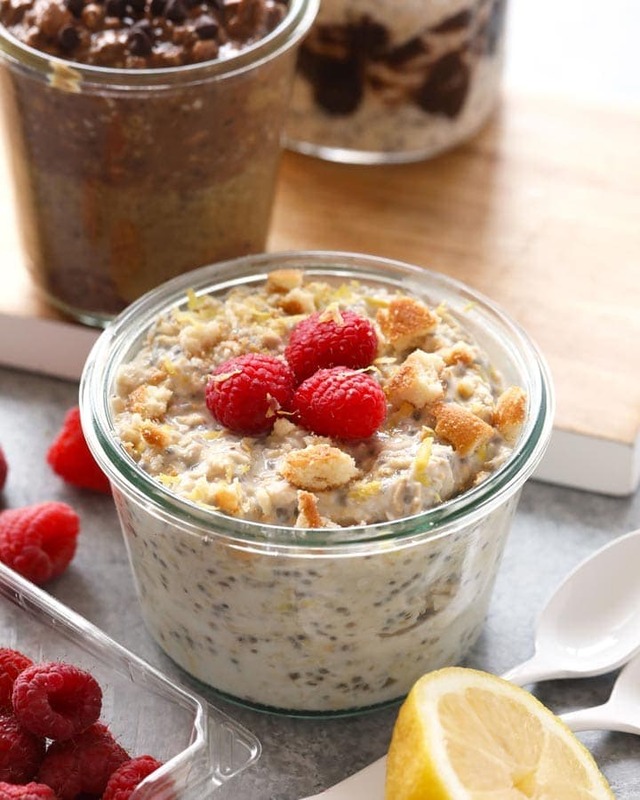 When ready to serve, turn slow cooker on warm, stir, and enjoy!